“Help me sleep!” and “How can I get past poor sleep?” — these questions reflect the epidemic of insomnia in our contemporary world. Like most modern western societies, Canada has a sleep problem. Most adults need between 7 and 9 hours of sleep to function properly. Yet more than a quarter of Canadians get less than that minimal 7 hour a night figure. Sixty per cent of Canadians report feeling tired most of the time, according to a report by the World Association of Sleep Medicine. The economic costs of sleep deprivation are also very well documented. Even more disturbing are the health consequences. Chronic sleep deprivation contributes to obesity, diabetes, high blood pressure, heart attack, and stroke along with other health conditions, such as Alzheimer’s disease and a weakened immune system. Both amount and quality of sleep have been shown to affect appetite and weight control. Yet, there’s an even more profound aspect to this issue. Depth psychotherapists are aware that it is symptomatic of our overall attitude to the world, and to the way in which we relate to, and look after ourselves, in the broadest sense of the word. Why are We Dealing with This Issue? Why are we, as a society. collectively crying “Help me sleep!”? On one level, this question could be answered very pragmatically — and it is very important that Jungians and others offer concrete assistance to people with the pragmatics of this issue. From a pragmatic, “what I should do” perspective, it’s worthwhile considering the following sleep-enhancing measures. You should develop a relaxing evening ritual. You should begin to gear down and eliminate stress the closer you get to lights out. Find a routine that includes a predictable daily sleep schedule. This should include consistent waking and rising times. Reserve your bed for sleep. Avoid stimulating activities, such as eating or using screen devices. Keep your sleeping room dark and quiet — and relatively cool. This is not a comprehensive list, but these are some measures worth considering. Yet, from a broader perspective, it’s important that we also consider the meaning of insomnia for the whole person, and for the whole of the psyche. When we think of what the type of insomnia that we confront in our time really means, neuroscience helps us to see the root of the problem very clearly. Research has shown that shift workers are especially prone to sleep disorders, because the arbitrary and artificial sleep regime required by shift work disorders the body clock or circadian rhythm. Neuroscience also shows that the most restorative type of sleep, “rapid eye movement” or REM sleep gets disrupted by insomnia. As Jungian neuropsychoanalyst Margaret Wilkinson tells us, this kind of sleep is associated with deep dreaming. 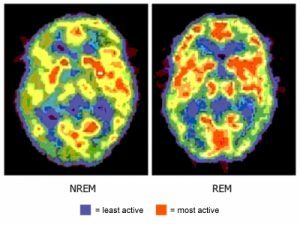 Such dreaming in REM is essential to maintaining the centers of the brain that are associated with learning and with processing our experience. REM sleep also enables the mind to process emotional states, especially fear, anger, elation — and particularly anxiety. Actually, insomnia fundamentally concerns our relationship to our bodies, and to the deep parts of the brain that are associated with the unconscious mind. 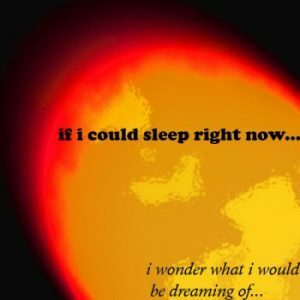 In order to gain a sense of fulfillment and meaning in our lives, depth psychotherapists know that it’s essential to find connection with our bodily rhythms, such as our circadian sleep rhythms, and also with the unconscious mind, the part of our mind beyond our conscious control encountered in the dream experiences of REM sleep. Both getting what I need to “help me sleep” and the process of depth psychotherapy have as their goal re-connection with the body’s rhythms and with our own deepest nature — all part of the “journey toward wholeness“.